Crystal Longest Drive Golf Diamond Star Awards. 95mm high, blue, gold and silver detail. 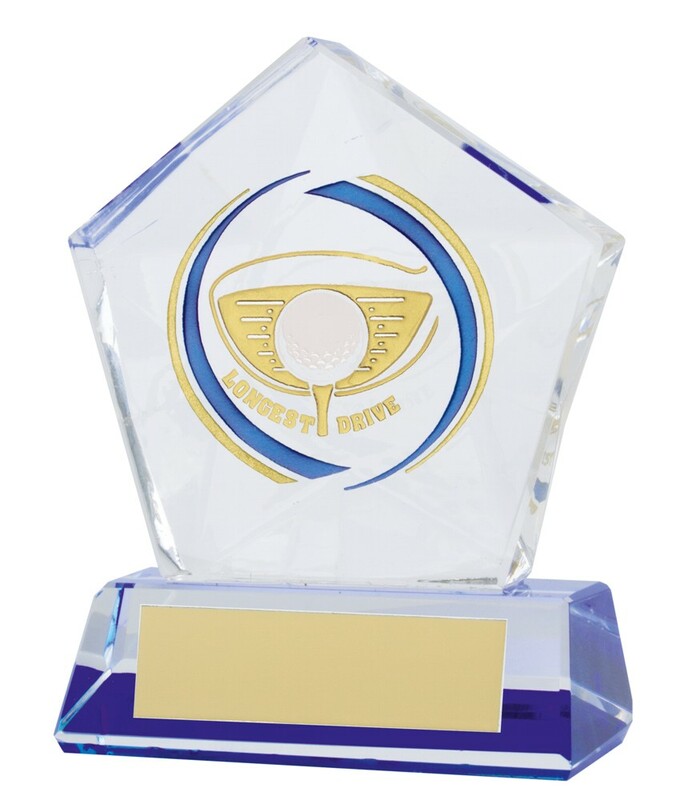 A solid crystal golf trophy. Comes with a free engraved plate attached and complete in a presentation box.